At just 17 years of age, Bukayo Saka made Premier League history when he came on for his debut in Arsenal's 4-1 win over Fulham on New Year's Day. 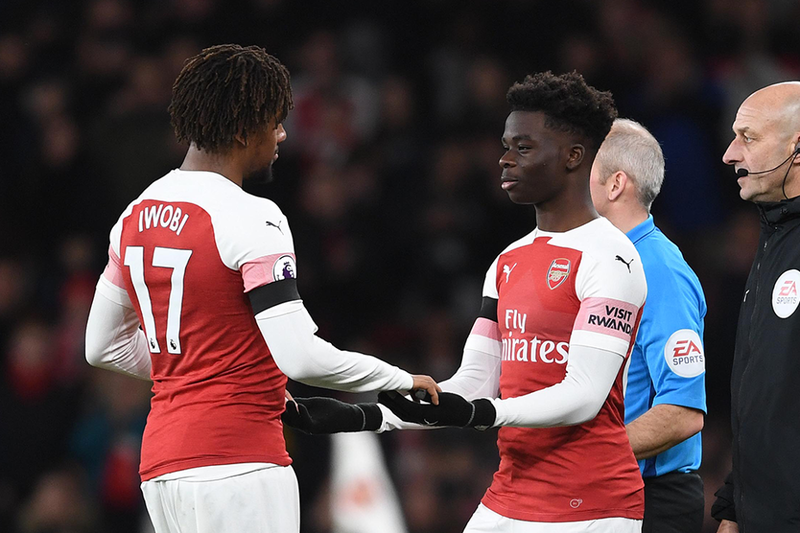 The winger replaced fellow Arsenal academy graduate Alex Iwobi with seven minutes left to play and in doing so, became the first player born in 2001 to play in the PL. Saka was born on 5 September, 2001, only 10 days before Arsenal beat Fulham 3-1 on their way to the 2001/02 title. "It's been a tough stage, a long stage, but through hard work and determination I managed to get here," Saka told the club's official website. "I'm not stopping now. I just want to work hard with every chance I get." Saka also achieved another Premier League first on New Year's Day. His No 87 shirt was the highest number to appear in the Premier League. 🗣 "It's a great feeling to make my league debut at the Emirates... I just want more now."